It is time to admit that I need to baby proof the house. The baby is crawling, pulling up and cruising around and everything waist-level and lower is at risk. The other day, when I caught him making his way up the steps, I knew I needed to install a baby gate.. and I needed to do it FAST. 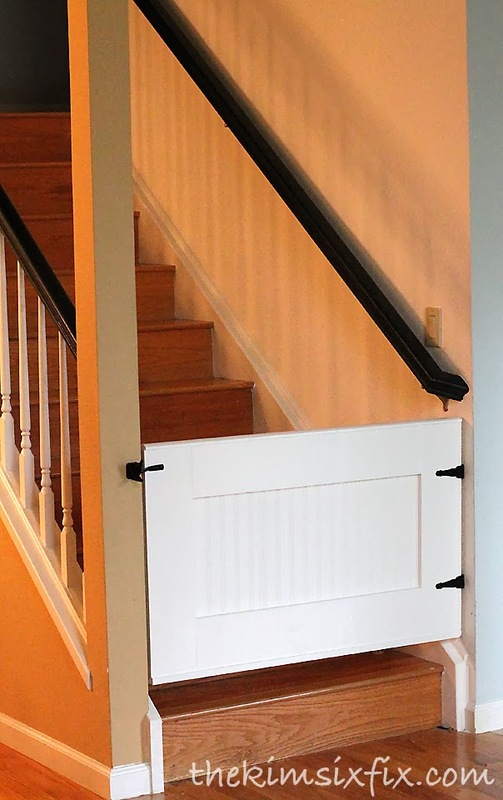 I have a huge collection of baby gates and have been temporarily using a compression one at the bottom of the steps, but it was just SO UGLY. It also was really hard for the older kids to use (they couldn't put it back up by themselves.) 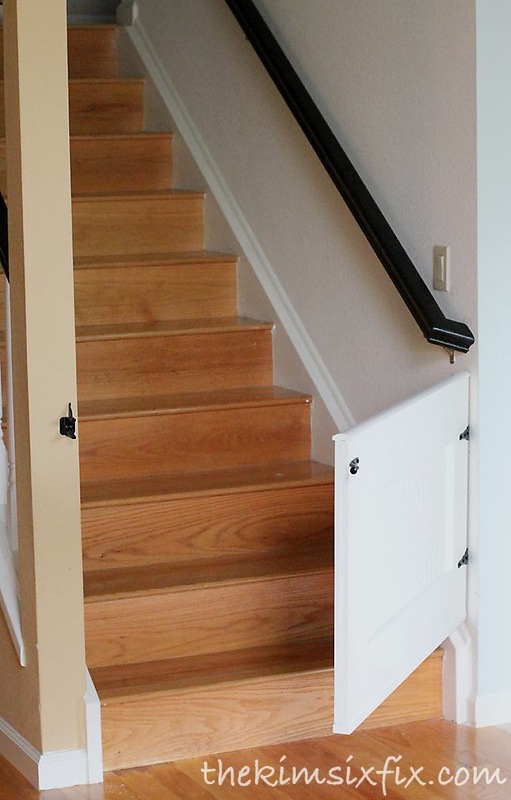 Frequently, the kids would run upstairs and the steps would be left ungated. It is pointless to have an ugly gate hanging around if half the time it isn't even installed. I knew I could do better and so I decided to design my own. 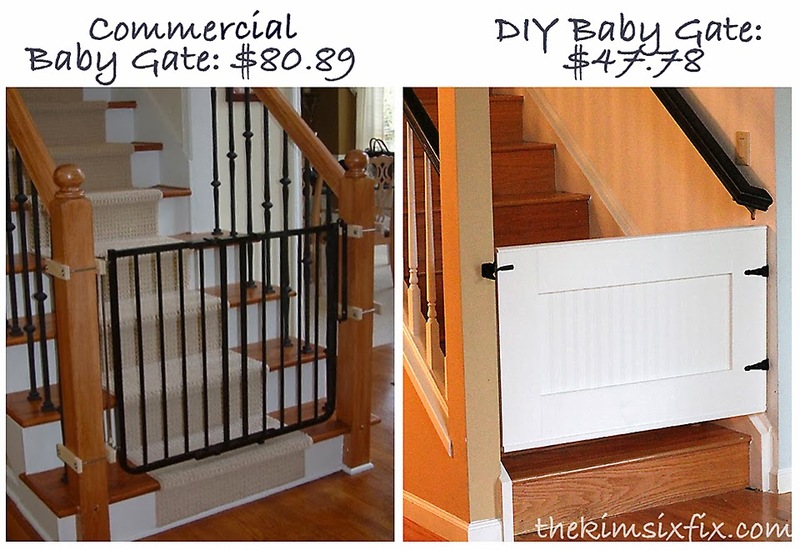 There are actually quite a few other bloggers who have done their own DIY baby gates, so I had plenty of inspiration. 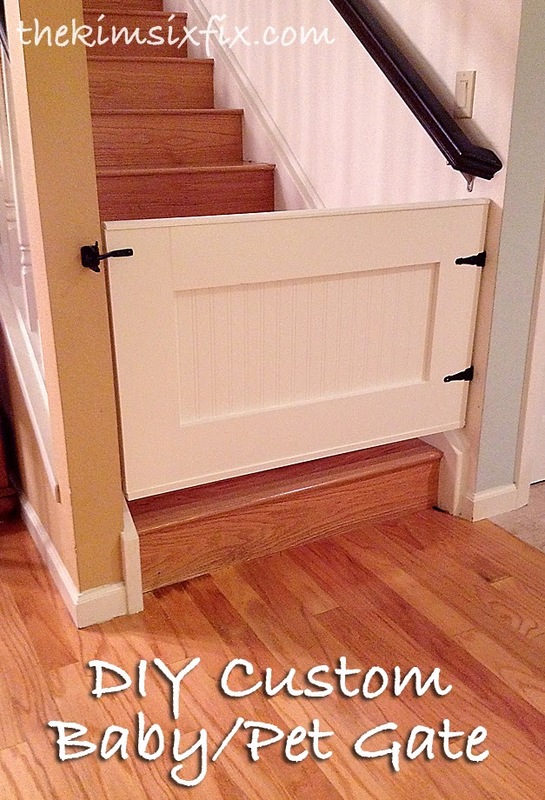 The thing was that almost everyone went with a "Barn Door" or "Dutch Door" style. My living/dining area, which is right off the stairs is transitional/traditional. 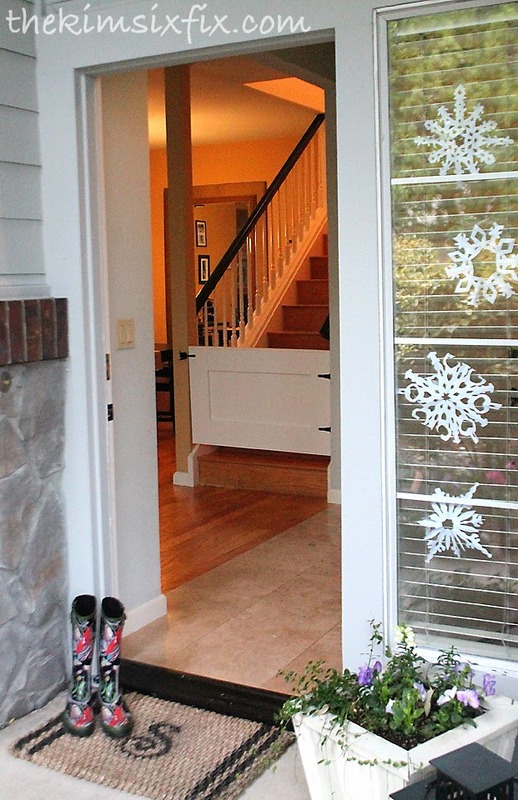 A barn door wouldn't really match, so I went with an alternative, simpler look. 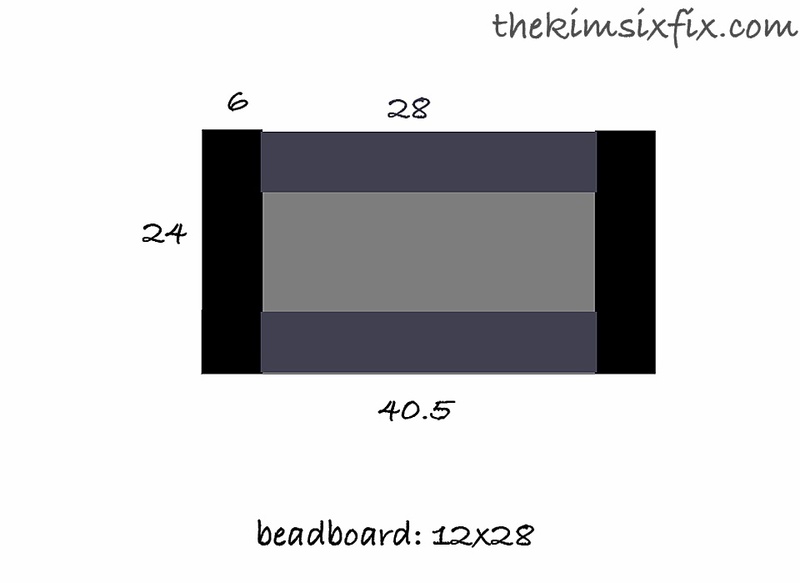 First thing I did was measure the width of the stair opening and drew up a schematic of what I wanted. My opening was EXACTLY 40.5 inches. 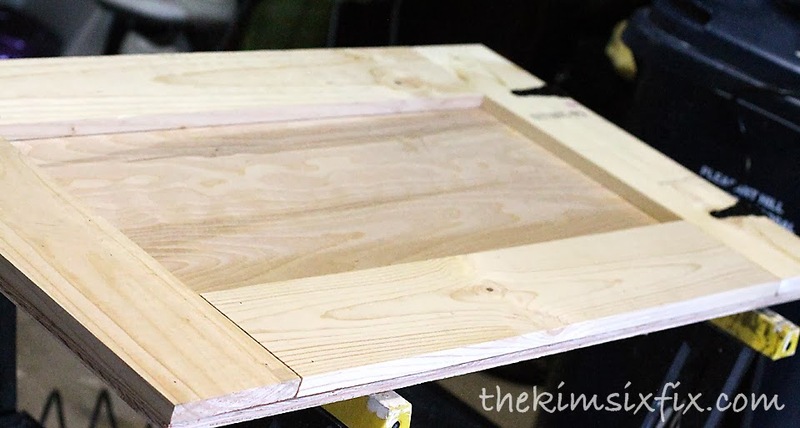 I drew the gate blueprints with those same dimensions knowing that I would actually mark and cut the board in place, but when buying the lumber I wanted to make sure I had enough. 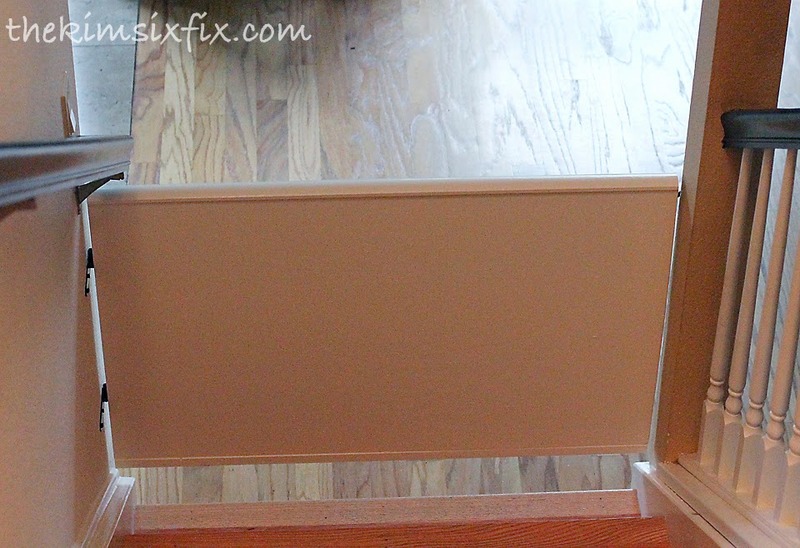 I measured from the top of the baseboard to the bottom of the stair rail. Once again, I didn't know if I actually wanted the final gate to be that tall, but it is always easier to cut down the board than to add on. 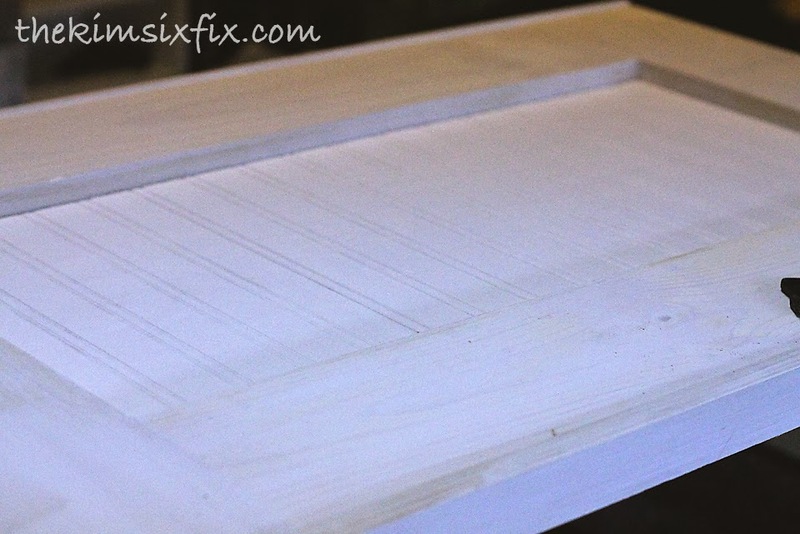 This meant I needed a 28 inch x 40.5 inch piece of plywood. 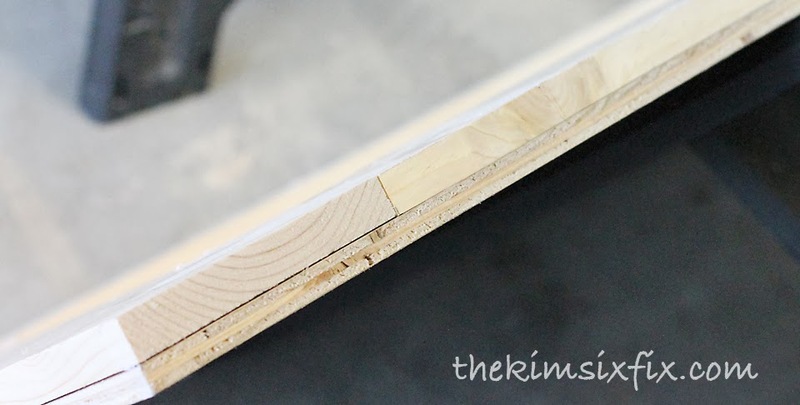 I arbitrarily decided on 6 inch wide trim boards, and did the math to determine I would need 2 that were 28 inches long and 2 that were 24 inches long. 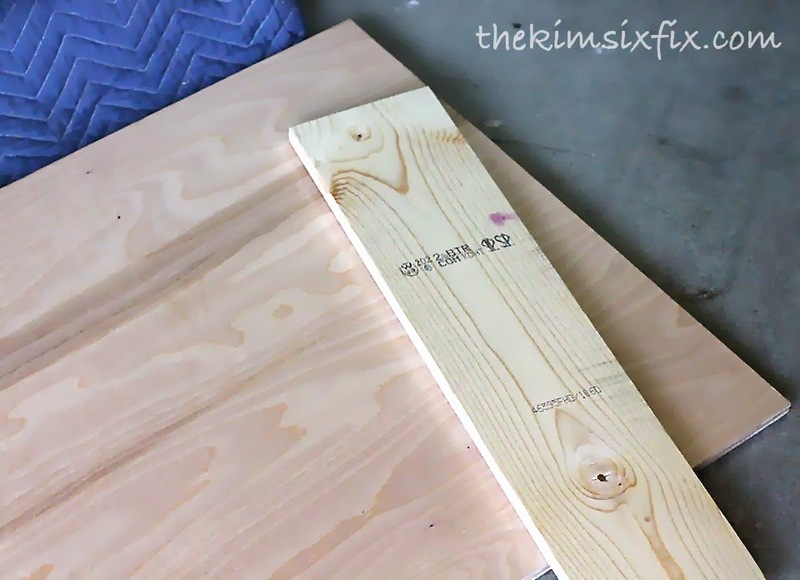 After getting the board home, I held it up in the opening and marked it exactly 1/2 inch shorter than each wall. 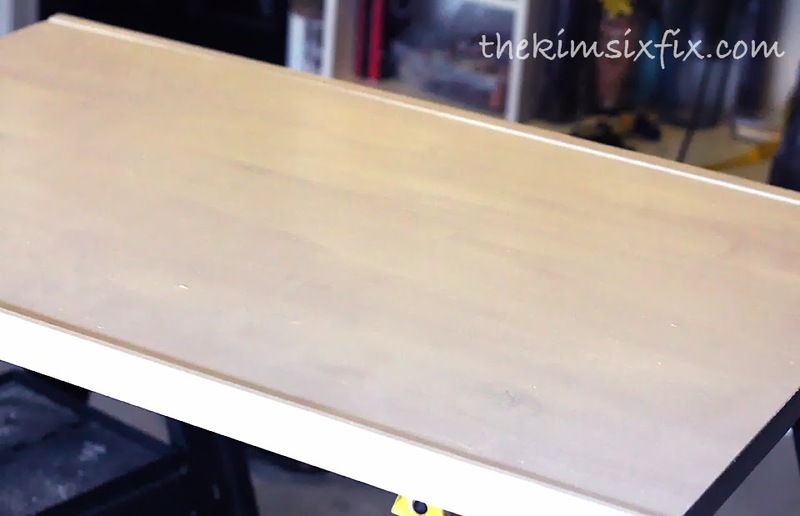 (I personally find it easier to work with marks than with a tape measure, but YMMV.) 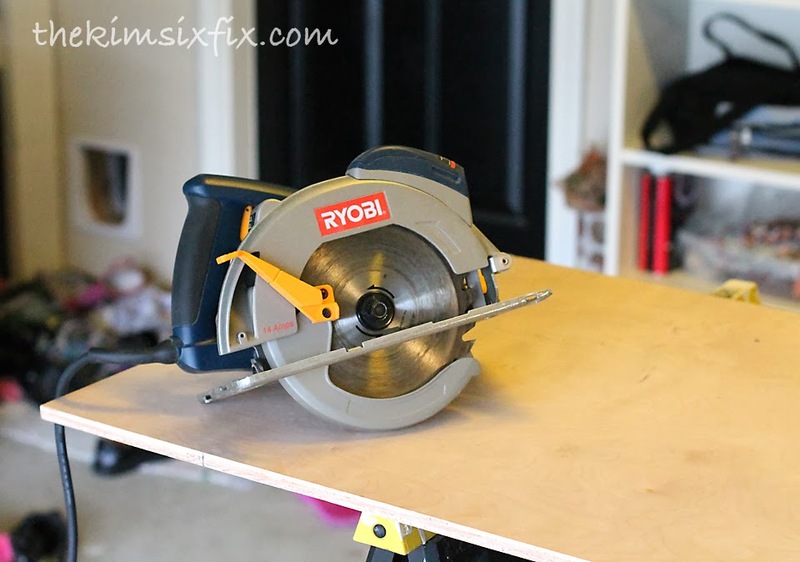 I used a circular saw to rip down the plywood. I decided that I liked the exact 24 inch height, so I didn't need to cut anything off the top or bottom. 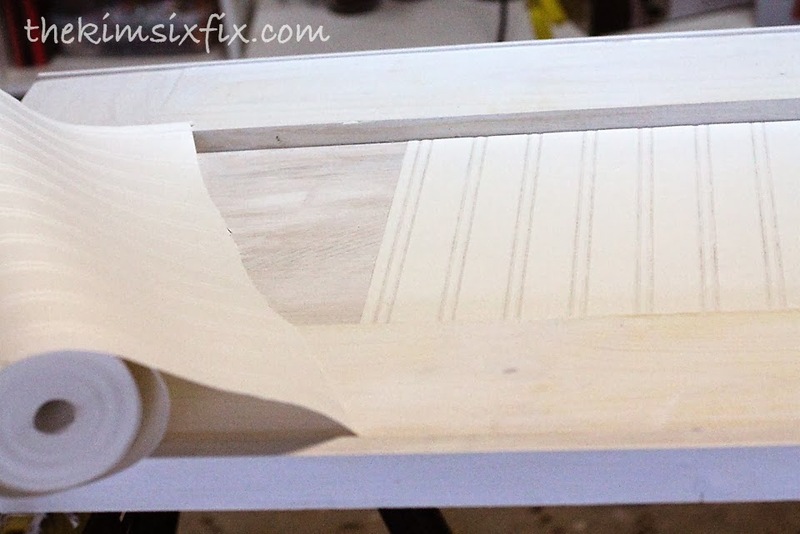 I cut the two vertical trim pieces to 24 inches and attached them with my brad nailer. Lastly, I marked and cut the vertical pieces and attached them. I temporarily attached the hinges to the gate in order to mark where they would attach to the wall. I needed to make they would be screwed into a stud (I actually lucked out.) If I hadn't hit a stud with all three screws I would have had to use some heavy duty wall anchors, since the gate is H-E-A-V-Y! I already had the wallpaper laying around from another project. You also could have used actual beadboard, or another decorative textured wall paper depending on the look you are going for. Once the paint was dry, I hung the door and then attached the latch. 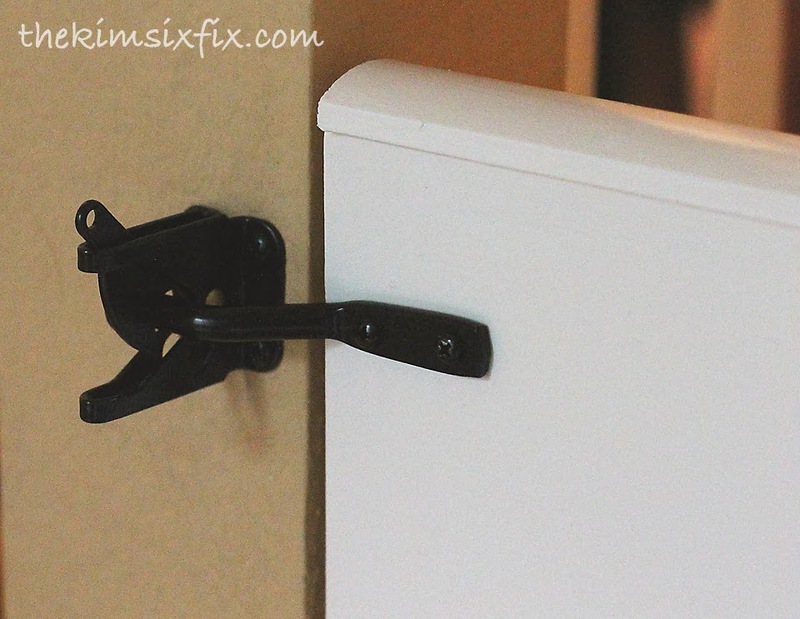 I decided on this gate latch because it was easy to use, and automatically 'locks' whenever the door is closed. ($4.24) No need to remember to latch the gate. How does it stack up to my goals?